Physician leaders in CAPP groups and other settings are constantly called upon to make decisions about the relevance and value of technology-driven solutions in healthcare. 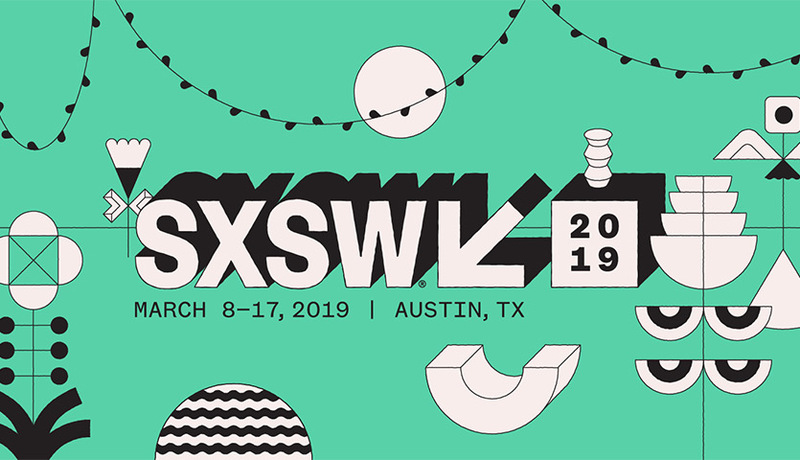 That’s why the perspectives shared at a recent panel at South by Southwest (SXSW) are so provocative and can help us separate the hype from the hope in health care technology. Sharing the stage with me at SXSW for the discussion on Hope vs. Hype in Health Care were another CAPP group physician leader, Edward Ellison, MD, Co-CEO, The Permanente Federation, LLC, and Lisa Suennen, Managing Partner with Manatt, Phelps & Phillips, a leading national venture fund. Jayne O’Donnell, healthcare policy reporter for USA Today, moderated our discussion. The premise of the panel was this: given that today’s technologies hold enormous promise for improving the health and well-being of countless lives, how do we sort the truly valuable from the hype? And from the CAPP perspective, how do we translate this value through the systems approach that we know provides more coordinated care, connected teams, and better outcomes? Predictive Analytics… Can we deduce your health status from your Amazon account? Predictive analytics is already in use for population health initiatives and in clinical care. For example, Dr. Ellison noted that Kaiser Permanente hospitals in his region use predictive analytics to pinpoint patients at risk of clinical deterioration, up to 24 hours in advance of when they would otherwise have been identified and transferred to the ICU. Early identification of those at risk allows the clinical team to provide timely interventions and stabilize the patient, thereby avoiding ICU admissions and improving outcomes. Already, this initiative has helped to reduce mortality by 20 percent. However, there’s also a big caveat when it comes to predictive data. Clinical information alone is not enough to produce the best outcomes. Where and how do patients live? What do they eat? What kind of support systems do they have? These social determinants of health are increasingly recognized as being more powerful than clinical interventions in maintaining health. Clinical information alone is not enough to produce the best outcomes. Where and how do patients live? What do they eat? What kind of support systems do they have? These social determinants of health are increasingly recognized as being more powerful than clinical interventions in maintaining health. Consequently, the new frontier in predictive analytics may be gleaning insights from data outside the health care system. Think about what might be learned about someone’s health care status from their purchasing habits, access to healthy food choices, or even their social media posts! In short, relevant data are not confined to the medical results in the providers’ EMR systems. Connecting to other sources of information is increasingly important to get the full picture of patients’ health status and to treat them holistically. What about the issue of patient privacy and who actually owns health-related data? I am a firm proponent that the ultimate owner of a patient’s health information ought to be the patient. However, we providers have an obligation to help interpret health information and make care recommendations. Machine Learning… Will it replace MDs and RNs? Machine learning is a method of developing algorithms that can learn and progress over time. Machine learning is already used in health care in areas ranging from dermatology to cancer detection, where pattern detection in digital images can yield diagnostic information. Will machine learning take the place of physicians and nurses? The consensus is that such replacement won’t happen in the foreseeable future. At this time, machine learning is more adjunctive and supportive of the health care professional. However, it can increase accuracy and efficiency in ways that will help improve patients’ access to care. Tests and opinions that previously had to be made by a physician could, for example, be determined by a paraprofessional with the appropriately “trained” technology. The most significant evolution in machine learning for health care may be in options for patients to use at home. For example, there might be a device a parent can attach to a phone to put in a child’s ear that can accurately detect whether or not otitis media is present. Getting accurate diagnostic information directly may lead to better and more convenient care. Precision Medicine… Should love be a prescription? One of the more “hyped” innovations in health care today is the use of precision medicine for disease diagnosis, prevention, and treatment. Precision medicine takes into account genetics, as well as environment and lifestyle factors, to identify which patients are likely to have or to develop certain health problems, or how they may respond to treatment. Mapping the human genome is becoming less expensive and more common-place. And, while it’s getting a lot of attention, gene mapping is not yet widely used in medicine. My fellow panelists and I believe the value of genomics and precision medicine lies in the ability to encourage providers to think about the whole person and to look beyond the clinical symptoms to see what happens in that patient’s home and environment. What we are finding is that making populations smaller — that is, not placing everyone into broad depersonalized categories — helps us better understand what’s important for individuals, and that’s an exciting step. For example, we now know that adverse childhood events (ACE) have a tremendous impact on disease expression. Ms. Suennen cited research that shows how traumatic experiences during childhood are as predictive or more than a person’s genetic profile or their diet or exercise habits in predicting risk for cardiovascular disease. We also know that stress and depression have a significant influence on the expression of migraines, back pain, fatigue and even diseases like diabetes. Given what we are discovering about stress and the value of positive human relationships, Dr. Ellison brought up a fascinating point: should love be considered medicine? Positive emotional ties translate into less stress and better mental health. Maybe physicians will someday use prescription pads to prescribe hugs! 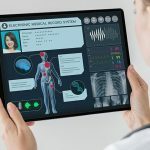 While recognizing the tremendous potential for technology in healthcare, it’s also important to understand its limitations. As technology advances, clinicians and patients may be tempted to assume it can provide a quick and easy fix for illness and disease. It can’t, by itself. We need that technology embedded in a therapeutic relationship between patients and doctors. The CAPP premise still holds true: integrated systems that incorporate technology, connect care teams and patients, bring in the latest research and are led by physicians provide the best health care. We must strive to remember that true health comes when we as physicians also encourage patients to focus on the basics: exercise, a healthy diet, stress management, and attending to their emotional and mental health. If you’d like to find out more about the panel discussion on Healthcare’s Digital Disruptors: Hope vs. Hype, held during the Health & Med Tech track at the SXSW conference, please listen to the full panel discussion here.